Ever caught an eight-pound walleye, 10-pound lake trout and 20-pound pike in a single ice-fishing season? Jeff Gussy Gustafson often does it in a single day. 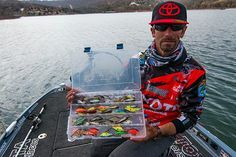 As a professional touring bass pro and host of Fishing with Gussy TV, Gustafson travels all across North America in search of the hottest bite. The new Jeff “Gussy” Gustafson Model 678009 38” Ice Hunter, available from Frabill as a rod or combo, features heightened sensitivity, heavy power, added length and over sized guides. 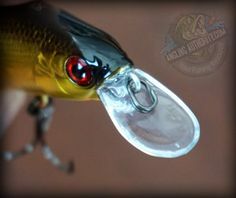 It delivers exceptional lure feedback while maintaining maximum power for striking and fighting the largest predators. Gussy began guiding on Lake of the Woods at the age of 15, and tournament fishing soon thereafter. 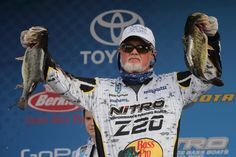 He’s a multiple winner of two of Canada’s largest bass tournaments, and placed fifth overall while traveling the United States’ FLW Tour, cashing a check at every event. But it’s his time on the ice near his home in Kenora, Ontario that Gustafson enjoys most. The shorter length of Gussy’s 32” Heavy Ice Hunter rod makes it perfect for targeting predators inside a shelter, while still retailing plenty of power for icing large pike. The massive Minnesota and Ontario fishery is a bucket-list destination for ice anglers interested in predator species to test their tackle. 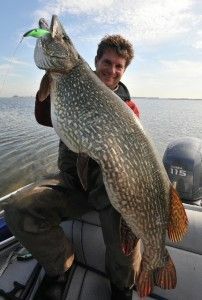 Big walleyes are commonplace, and giant pike can be almost annoying. In addition, abundant lake trout provide heavy targets for deep-water specialists. To combat such giants, often at the same time, Gustafson designed the ultimate ice rod. His namesake Frabill 38” heavy action is one big stick. “It’s stout, but not a broomstick,” Gustafson insists. The extra length is the real key: “When fighting a big fish on the ice, you can’t move around like in a boat.” Trophy anglers can relate, frequently feeling helpless as massive, toothy fish make tireless moves, often resulting in pulled hooks. 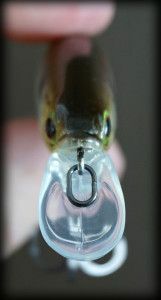 Gustafson combats a predator’s power with length – just as a steelheader does when pinned in a stream with a fiery jumper. 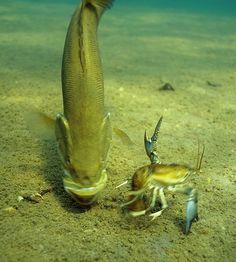 The length of the rod absorbs the bold and athletic moves of a big fish when the angler must remain stationary. The added length of Gussy’s 38” Heavy Ice Hunter rod helps anglers combat the athletic runs and wide head shakes of big pike and lake trout in cold water. Braid’s low-stretch characteristics can create challenges when it comes to converting strikes on shy fish – a concern Gustafson addressed with design. “They’re big rods, but each features a soft tip throughout the taper to allow the fish to take the bait and offer more sensitivity.” For Gustafson, such subtleties make the difference between a mediocre day and another predator grand slam. Trophy ice hunters take note: Premium fish call for premium weapons. Choose wisely.